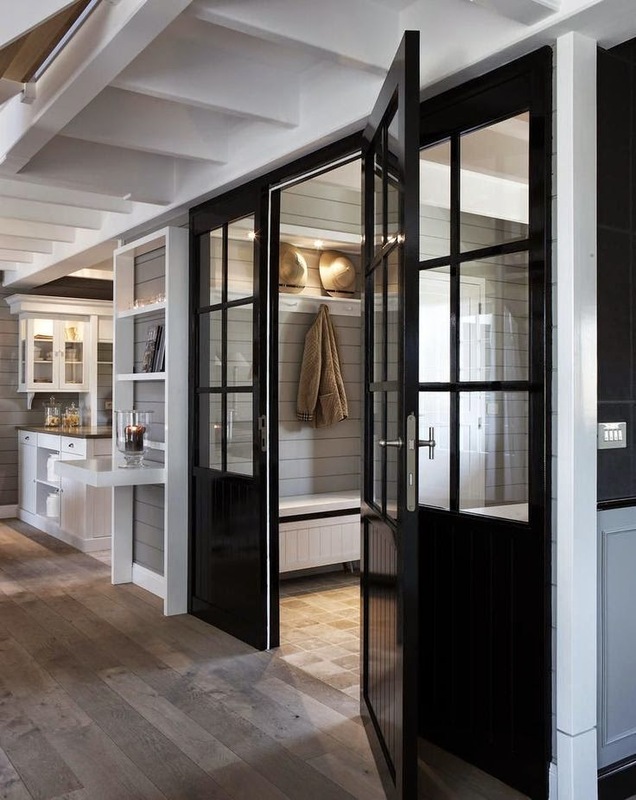 Is painting interior doors black a good idea? A few years ago I painted 90% of our interior doors black. when you have pets they show every little mark. 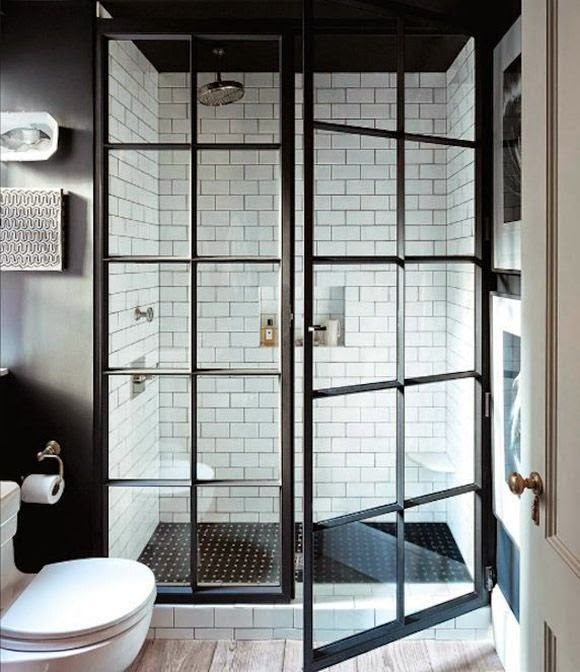 These are a few of my favorites from my Pinterest board called black and white. Make sure to look there later today! I had my front door painted black on the outside.. LOVE it.. would love to do my interior doors as well... My floors are Brazilian cherry wood .. 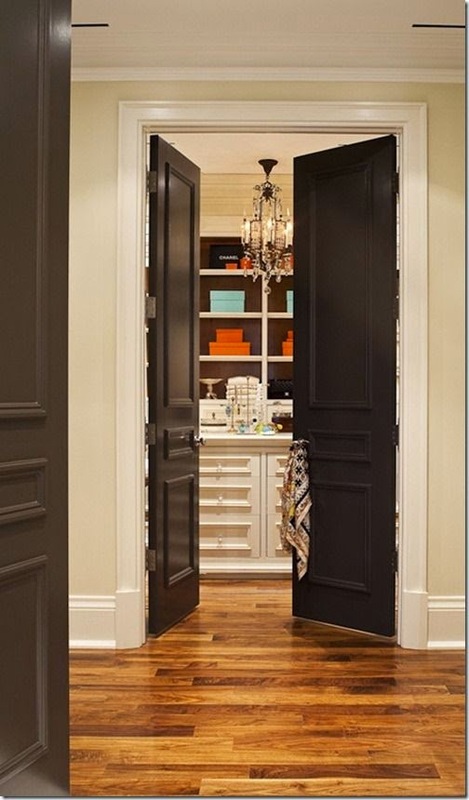 I am thinking the tones are too red to pull off the black doors... Beautiful images in your post! I love the look, even though it's a little more trouble it's worth it! I have painted my doors black, my fireplace mantle AND my lower kitchen cabinets. all get alot of wear from family and pets and no scratches for many years. My favorite and seriously tough paint product is Set Coat from Faux Effects International. Can't beat it for sure! I love the black doors. I wish we had higher ceilings so I could do that with ours. I'm looking forward to seeing yours. 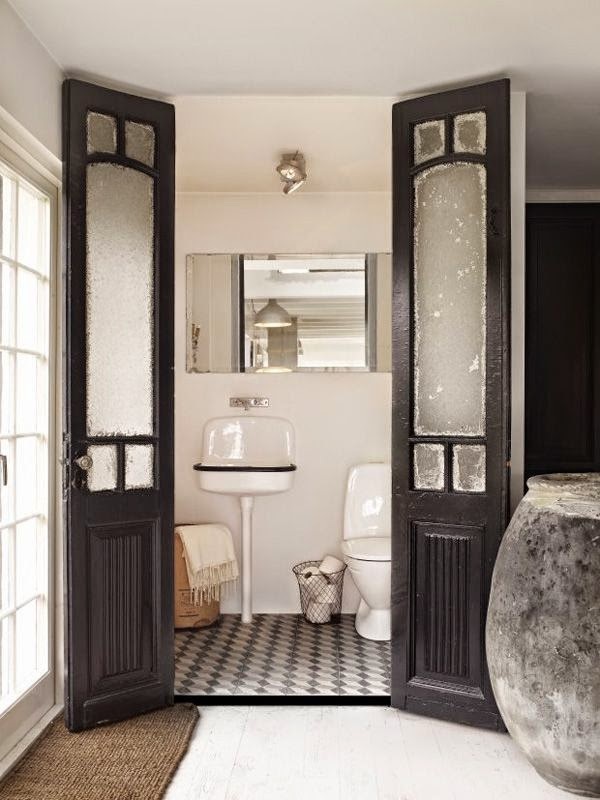 I love black doors, saving that for our next house! 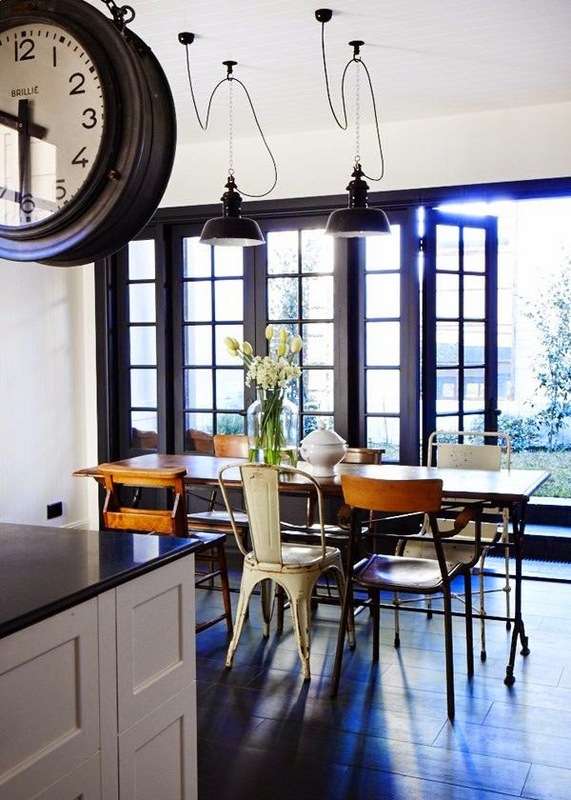 I love the decoration, light colors of interior looks so bright and great in combination with black doors. Your house looks amazing! Everything inside looks pristine and polished, and the decorations complemented one another. I think it’s the contrasting dark and light color scheme that did the trick. 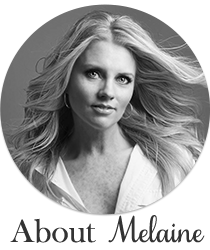 Thanks for sharing with us, Melaine! Wow, talk about a color combination that never gets old. I love the job you did creating a consistent motif around the house. Looking forward to your other projects! That black color looks great. I want to have my doors painted black but my girlfriend does not really agree with me. I think it looks really great and this blog was real motivation to me to do it. Keep up all the hard work One question though how often do you repaint it? Looks great all the best. Thanks. Love your style! 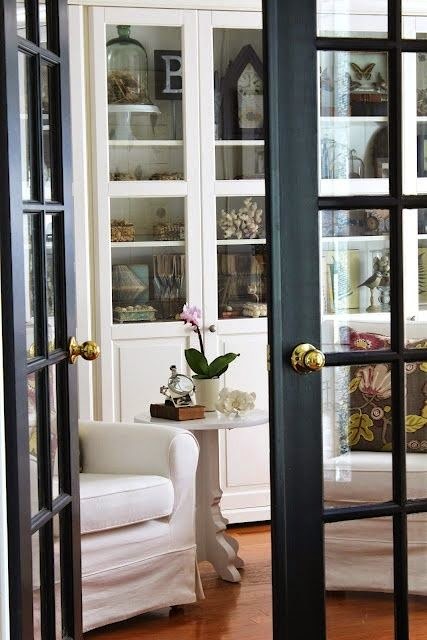 I'm trying to replicate the foyer look, complete with black door :) can you tell me where you found the rug? I've seen similar but not exact. The furniture is looking brand new...you have done a great work....Designer furniture Miami is required to decorate your home and make it attractive.